The ratio is called a difference quotient. The difference quotient can also be interpreted as the average rate of change of f(x) over the interval [x0, x1] and its limit as x1 x0 is the instantaneous rate of change of f(x) at x=x0. 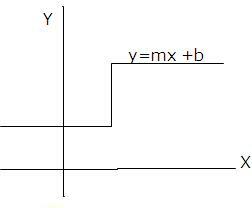 then we define the tangent line to the graph of f at the point P(x0, f(x0) to be the line whose equation is y – f(x0) = f’(x0)(x-x0). 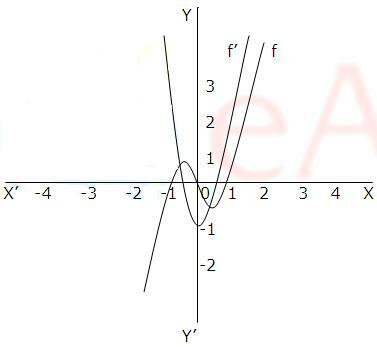 Since f’(x) can be interpreted as the slope of the graph of y=f(x) at x, the derivative f’(x) is positive where the graph of f has positive slope, it is negative where the graph of f has negative slope, and it is zero where the graph of f is horizontal. 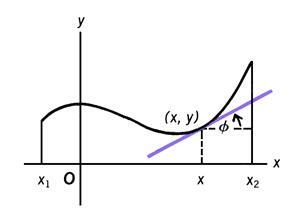 The derivative f’ of a function f can be interpreted as a function whose value at x is the slope of the graph of y=f(x) at x, or alternatively, it can be interpreted as a function whose value at x is the instantaneous rate of change of y with respect to x at x. In particular, when y=f(t) describes the position at time t of an object moving along a straight line, then f’(t) describes the position at time t of an object moving along a straight line, then f’(t) describes the instantaneous velocity of the object at time ‘t’. 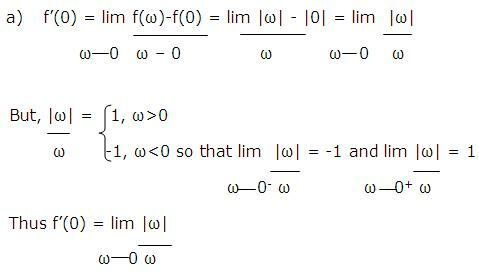 does not exist because the one sided limits are not equal.